A version of this post originally appeared in the May 2013 mailing of the Capa-Alpha APA. During the early '90s when I took a stab at becoming a comic book writer, I requested submission guidelines from several dozen publishers. One of the people I heard from was First Comics submissions editor Zoe Zolbrod. Her letter of Feb. 5, 1991, shared a new plan the company was undertaking. "First is going to begin to publish black-and-white, limited-series, creator-owned comic books," she wrote. "These would be sent to us by the creator all ready to be shot and printed (scripted, penciled, inked and possibly lettered). ... There would be no page rate for these books; instead the artist(s) would get a predetermined percentage of the profits." The letter and First's submission guidelines are linked. After being one of the most successful comics companies to spring up in the '80s, First was fading fast by the time of my letter. After it shut down in 1992, Zolbrod stayed in publishing and has become a book editor, essayist and novelist. 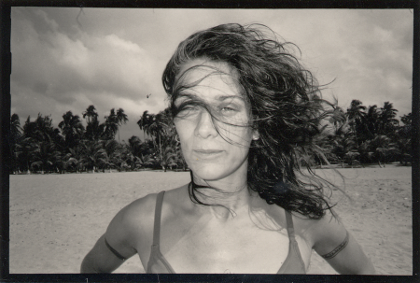 In the late '90s she published the zine Maxine, billed as a "literate companion for churlish girls and rakish women." Her 2010 debut novel Currency is about a female American backpacker in Thailand who has a romance with a local street hustler that brings her into the world of exotic animal smuggling. On an impulse, I looked up Zolbrod on the web and she agreed to answer some questions in email about her days at the company. Question: It looks like you got the First Comics job right after graduating from Oberlin, based on your LinkedIn profile. How long did you work at First and what was it like to comb through the submission pile? Do you recall any of the writers and artists you discovered whose books went on to be published? Zolbrod: I got the job as editorial assistant for First Publishing in 1990, a few months after graduating from Oberlin, thanks to a tip passed through the Oberlin grapevine that started with Anina Bennett, who was an editor there. One of the things I did as part of my interview process was to review a couple of unsolicited submissions, because dealing with the slush pile was a big part of the job. I was far from a comics geek. I liked a few alternative things like Hate and Love & Rockets, but I had virtually no familiarity with the world of super heroes, which was a lot of what First published and received as submissions. I remember deciding to just give my honest opinion of the comics I was given to review, including my feminist analysis, because I didn't even know enough to fake something else. I guess the other candidate they were considering had more comics knowledge, but First was mostly looking for someone who could write and think critically, and so they took me on. I looked at probably hundreds of submissions and dutifully wrote a personal note back to most everyone, which encouraged a couple people to respond a little too enthusiastically. I only found a few things that I thought were worth passing up the chain based on the criteria I was given, and of those, only one did everyone get excited about. I can't remember the name or the artist now, but there was some discussion with the guy about signing him. Little did I know, though, that I had arrived at the beginning of the end of First. Within a year of having taken the job, the company decided to move from a monthly publishing schedule to a quarterly one, and the ceased signing anyone new. Soon after that, they suspended publication entirely -- actually, Lone Wolf & Cub might have limped on for awhile -- and laid a bunch of people off. I kept my job -- probably because I was working for peanuts -- but things eventually ground down to a stop. I was there for less than two years, but that job really changed my life. I had gotten a little editorial experience, and I also got a bonus for sticking around until the bitter end. The bonus provided me with a nut of money that allowed me to backpack around Southeast Asia for the better part of the year. Q: The letter I received was from February 1991 in response to a request for submission guidelines. You described how First was planning to start publishing black-and-white, creator-owned comic books that were submitted in completed form to the company. First would only do the cover and possibly redo the lettering. Was this a last-ditch effort to keep the company in business, and do you recall if anything came of it before it closed? Zolbrod: Oh, I forgot about that. Now that you mention it, I think that was the criteria I was given for what to pass up the chain. The one submission everyone liked was to be part of it. But no, nothing ever came of it. Things started going downhill fast very soon after I sent that letter. 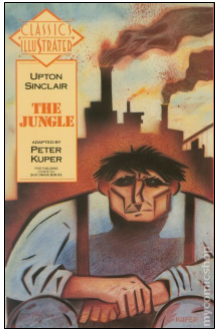 Q: It looks like the final things First published were Eric Shanower's Blue Witch of Oz, the final issues of Dreadstar, Grimjack, Lone Wolf & Cub, and a Classics Illustrated adaptation of Upton Sinclair's The Jungle by Peter Kuper (I need to find a copy of that). What do you think caused the demise of the company, one of the most successful comic book publishers of the '80s? Zolbrod: I believe I recall the Peter Kuper art coming in. I had been aware of him before I started the job and was really impressed. It made working there seem glamorous. There was often quite a buzz when the Classics Illustrated art came in, and we would all gather round, but I didn't work with any of those artists. They had their own team, and I was an underling. Although I hadn't heard of Grimjack before I started, that was the First series that I genuinely got into. I was sad when it went to a quarterly and then ceased. I wasn't in the know enough to have a really clear picture of what happened, but I recall hearing that the licensing of Teenage Mutant Ninja Turtles had been a huge cash cow for First, and that had ceased by the time I got there in '90. I think the licensing with Classics Illustrated and Lone Wolf might have been expensive, and their own series weren't doing as well as they had been. Q: You published the novel Currency inspired by your experiences traveling Southeast Asia alone, and now you're working on a memoir about suffering sexual abuse as a child. How did you decide to write about a subject so difficult, and how is it going? Zolbrod: I'm looking at the memoir as being more about how I interpreted what happened to me as a child at different stages of my life, and less about the actual abuse. It's a situation with a lot of gray area, or at least a lot of psychological gray area to me. I guess I came to writing about it in the hopes of gaining a better understanding, which has eluded me all these years. Also, I became aware that this issue affects a lot of people in nuanced ways that aren't well represented, and I want to add to the dialogue. I have a strong vision for the book and it's going well, if not quickly. To find out more about Zoe Zolbrod's books and read her blog The Next Youth Hostel, visit her website ZoeZolbrod.com. She also is a frequent essayist for the literary site The Nervous Breakdown. Thanks for this: as a Nexus/ Badger/ American Flagg! fan now I'm interested in hearing about stuff I mainly missed as a Marvel kid back then. Having just finished the history of Marvel Comics, I think the story of every comic company veers to tragedy over time. I loved American Flagg!. I have a Howard Chaykin story from those days I will tell when I find the enraged letter he wrote about me to Comics Buyer's Guide. Proof positive that if you tackle a tough topic with relentless consistency, you're guaranteed to find success. There are some topics out there that I think are just prime for blogs to take over, but they've been vacant for so long because nobody with the right skills has stepped up to the plate. The thing is, if you do get into them (and have something to offer), you'll face limited competition, and if you know your marketing, you will flourish.